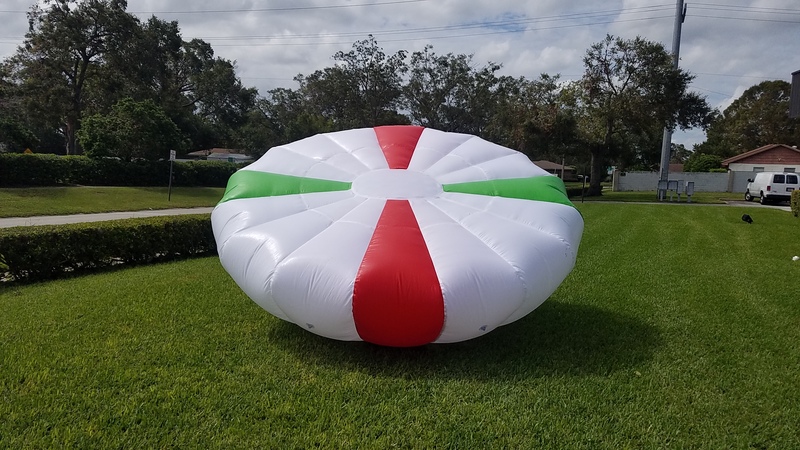 We are excited to offer a new wireless flashing 15ft round NIGHT AND DAY TARGET set made with a revolutionary light weight sealed air ripstop nylon so it’s super light and super easy to set up and take down. Target night golf is super fun because you can create a course virtually anywhere at your golf course so players never need to get into golf carts. As a result we’ve created a one club experience. “One hand for your club, one hand for your favorite beverage”. The targets are interactive so players can hit them easily and score low. By creating large 15ft round interactive targets, now you can put on events that are easy to score and make golf a whole lot more fun. By creating shorter holes of 80-125 yards, players can experience not only scoring low and coming into the clubhouse under par, they can even get hole in ones. 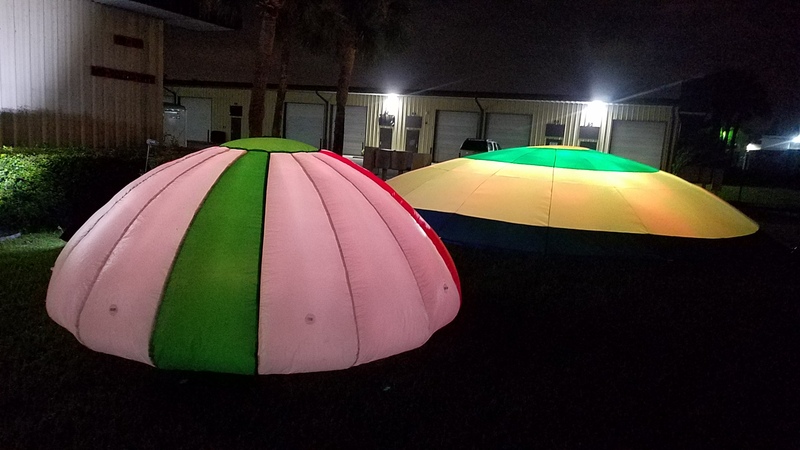 With the new Glowgear night targets, your golf course can create one club events while also opening up your course to cross-sports competitions like Disc golfers vs. FootGolfers vs. Golfers. How cool would that be. And by having footgolf at night you create a new revenue stream ‘Friday Night FootGolf’.